I love this outfit! 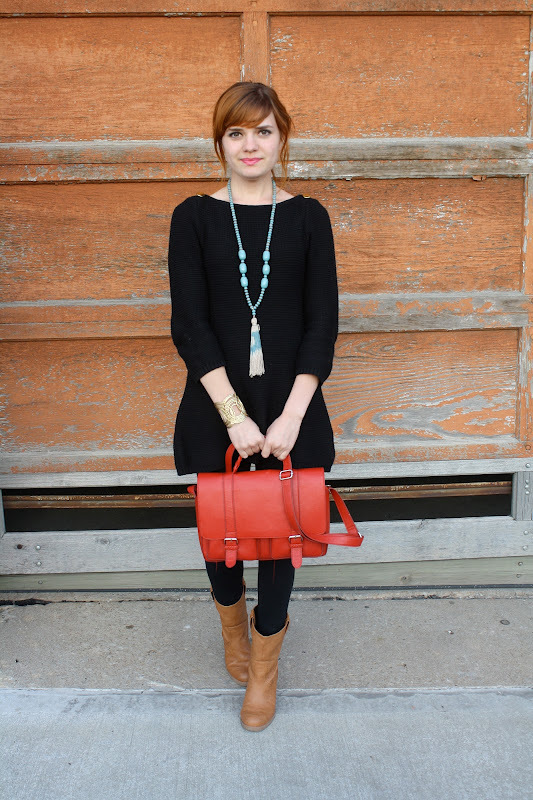 The necklace and bag are perfect with the black ensemble. One of my favourite looks! Your outfit is adorable and I am in love with your hair!! I love the accessories. It gives the outfit more personality. love this look, and especially love your hair with this! perfect. Now THIS is my kind of outfit. I feel like I dress like Adele, wear mostly black but I LOVE pops of color. Adore this. 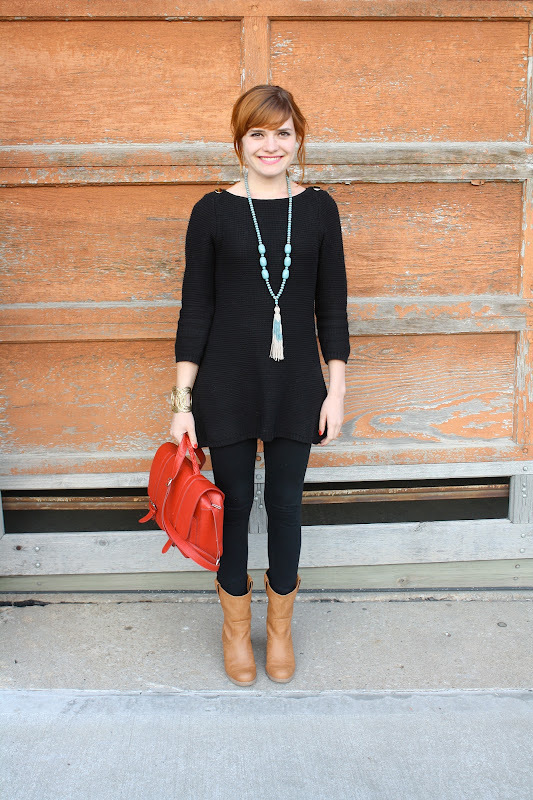 Love the all black, it's so understated chic...and your boots/necklace give it that great boho vibe! You look like a modernized Joan from Mad Men! I just stumbled upon your blog. Followed! I really like your outfits! You can never ever go wrong with an all black outfit. NEVER! I love that statement necklace! Hey, I just discover your blog and already following. Love your style. you have a gorgeous smile!! I love this look! It's great to find a fashionable and comfy look.